TRS Is Converting Our Bond Fund To A Balanced Fund On January 1, 2018. Should You Invest In It? My sources tell me that the Teachers Retirement System (TRS) is finally throwing in the towel and eliminating the poorly subscribed Bond Fund that has been associated with anemic investment returns of 1.33% or lower, before investment fees, for the last five years and converting it to a Balanced Fund that is supposed to compete with the Fixed Return Fund and will consist of approximately 70% bonds and 30% equities to juice up the fund's investment returns. The question is would it be a good idea to invest in the new Balanced Fund? The simple answer is no and here's why. TRS already has a Fixed Return Fund that pays out 7% annually, without an investment fee to UFT members and 8.25% for non UFT members. By contrast, the new Balanced Fund will have investment fees that will reduce the total investment returns. Moreover, its highly unlikely that the Balanced Fund in a low inflation environment that we are currently in, will achieve anything close to a 7% return. Finally, if equities have a bad year, its possible that the Balanced Fund will have trouble showing positive investment returns that year. 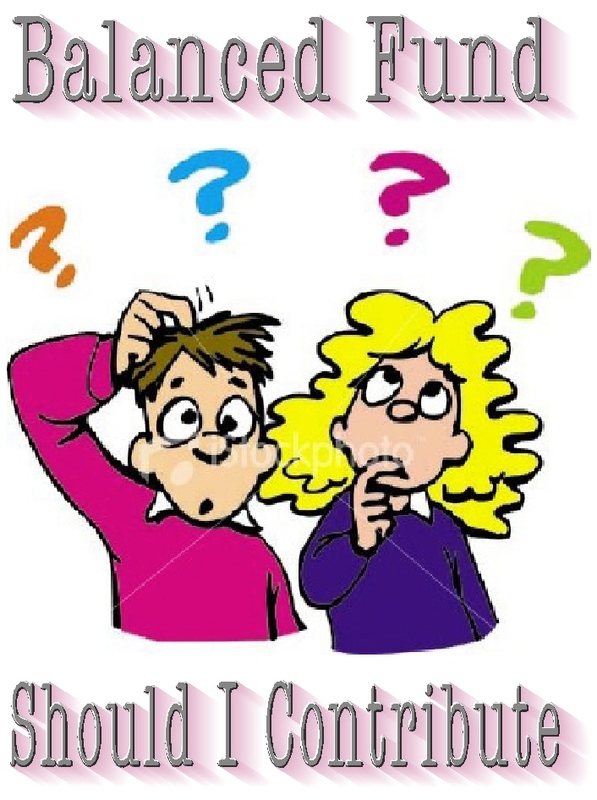 Logically, since the Balanced Fund is for very conservative investors who don't like to take risks, why would one take a chance to invest into a fund where you might have trouble getting a good return when you can stash the money into the TRS Fixed Return Fund and get a guaranteed 7% and not worry about the ups and down of the stock market? If TRS really wants to assist their members, they should allow for a ROTH option, not a fund that shows little promise to enhance the investment returns when a superior Fixed Return option is already available, with no risk.. Personally, I see no reason whatsoever for investing in the Balanced Fund. 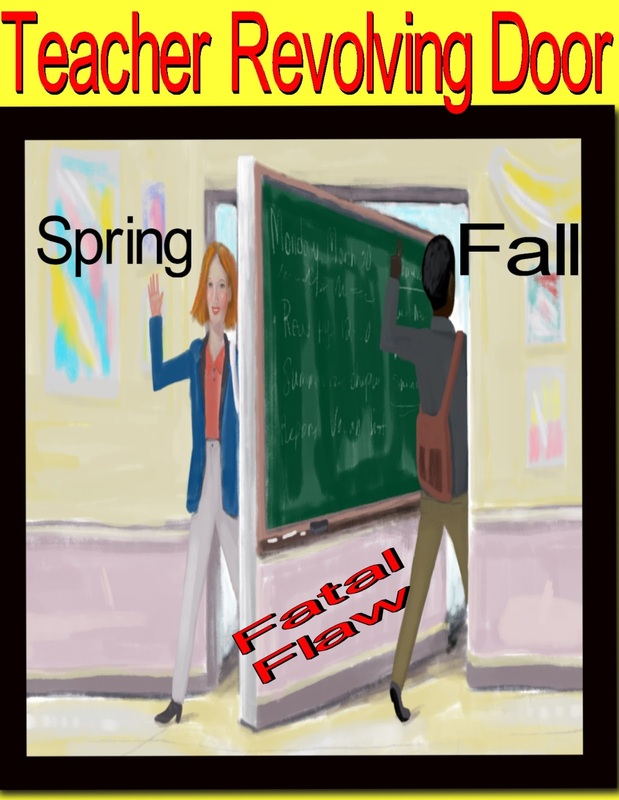 Here Today, Gone Tomorrow - Teacher Turnover At Charter Schools, The Fatal Flaw. One of the fatal flaws the charter schools and their media allies try to hide is the extremely high teacher turnover they experience. The charter schools average a 41% teacher turnover rate from one year to the next and the Eva Moskowitz's Success Academy it's even higher with a 60% teacher turnover rate annually, compared to a 18% turnover rate in the City public schools. It is common for students to have two or more teachers during the school year and many of them are uncertified as well. Most of the teachers that charter schools recruit come from Teach for America and only received a seven week training session in pedagogy. These recent college graduates usually have no teaching certification or experience and last two years or less in the profession, some never getting their teaching license. Moreover, the few experienced teachers the charter schools hires are teachers that had either been discontinued or had 3020-a charges and lost their right to teach in DOE schools. For these teachers its usually jumping from one charter school to another and yet another as they are not rehired for the next school year or they are wary of the working conditions, such as an extended day, inferior benefits, and a longer year. Not to mention overbearing parents. Having friends who work in charter schools they tell me that the charter school administrators don't appreciate their teachers and think of them as transient replaceable parts. Teachers that aren't available 24 hours a day during the extended school year, including weekends, can expect to be replaced by an uncertified "newbie" and it matters little that the replacement can't teach. In charter schools, the term professional educator is replaced by the revolving door of adults who use the position as a stepping stone to a better future. Therefore, the charter school reliance on hiring from Teach for America. The New York Daily News published an opinion piece from a charter school parent who removed her daughter from the charter school because of the school's high teacher turnover. According to the parent she was tired of seeing good teachers leave for the suburbs or the City public schools because of better working conditions, union benefits, and a right to tenure and she can't blame them one bit. Furthermore, the wave of "baby boomer" retirements over the last few years at the City public schools and an improving economy opened up public school teaching positions for those inexperienced teachers who intend to make teaching a lifetime occupation. They were snatched up by the public schools who, due to tight school budgets, and DOE policies that discriminate against veteran teachers, can hire the charter school teacher at a much the lower salary. The bottom line is that with an looming teacher shortage and even less college graduates applying to Teach for America, where will the charter schools get qualified teachers? The answer is that they won't be able to and that will result in the hiring of more uncertified people and a continued decline in these schools of their students failure to achieve their academic potential and that is the fatal flaw charter schools suffer from. Note: This Bronx charter school is firing 11 of its 15 teachers, or 75% of the teaching staff. You can read the story Here. Academic Fraud Cointinues As The Common Core Algebra I Regents Cut Scores Are Reduced Again. 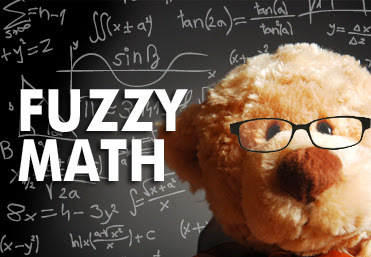 New York State Education Department, instead of making the Regents exam a test that measures a student's academic proficiency, has made the gateway Math test easier to pass by artificially lowering the "cut scores" for the second year in a row. According to the New York Post article the 2017 Algebra I Regents cut scores were lowered to 27 correct answers out of 86 questions or only 31.4% to receive a passing grade of 65%. Last year the cut scores were 30 out of 86 or 34.9%. Compare that to the first year of the Algebra 1 Common Core Regents exam when the cut scores were set at 31 correct answers out of 86, or 36.1% to achieve a passing grade of 85%. See one Math teacher's comparison Here. Last year the lower cut scores resulted in a 10% increase in the New York City passing rate and its expected that an even larger percentage increase is expected this year since the 2017 cut scores are significantly lower. The New York State Regents used to be the "gold standard" of student proficiency in a subject. However, the political influences that affect the State Education Department has interfered with the educational process and is seen in the changing cut scores to achieve a certain passing percentage of the Regents exam. If there is a silver lining for the lower cut scores, it's that Math teachers who have their student growth measures affected by the Math Regents exam will get a higher growth score factor since more of their and the school's students will have received a passing grade. While I understand that the gateway Regents exams of Algebra 1, Living Environment, and Global were dumbed down to get more students to pass. The continued lowering of the cut scores to meet an academic goal is simply political and is academic fraud as the State practices perception over reality when it comes to real academic progress. An admittedly biased study done by the pro-charter group, Families For Excellent Schools. have shown that the Renewal Schools have continued to under preform, despite the massive amount of money that went to the schools. Moreover, these schools continue to shed students and excess teachers. 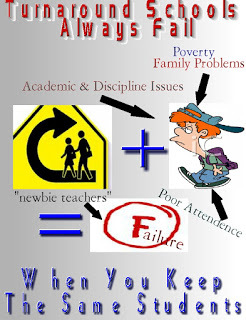 Finally, the Renewal Schools have a problem with chronic absenteeism and low student academic achievement. The DOE tried to limit the influx of "high needs" students by eliminating acceptance of "over-the-counter" students to the Renewal Schools. However, these schools could not attract academically proficient students either. The result was that the Renewal High Schools continued to struggle academically and had trouble keeping students from fleeing the schools, when given the chance to leave. To make matters worse, veteran teachers, the lifeblood of a properly functioning school, didn't want to work in the highly stressful environment of the Renewal School. despite what Chancellor Carmen Farina claims. The result is that the Renewal High Schools have a majority of inexperienced teachers who are subject to a steep learning curve to master classroom management and curriculum knowledge, not an optimal educational environment for a struggling student population. Furthermore, the Renewal High Schools suffer from high teacher turnover, either because the teachers are excessed or use the Open Market Transfer System to escape the school. This makes the Renewal High Schools an unstable educational environment and hurts students academic achievement. Adding to the already stressful educational environment, the Renewal High Schools are top heavy with both in school and outside administrators, In fact, the administration of Amiee Horowitz is known to be the dumping grounds for failing or unwanted principals and other out of favor administrators. This top-heavy and highly paid administrators gobble up the lion's share of the extra funding for the Renewal School program. The Renewal High Schools have only met 24 of the 102 benchmarks set for them and had a chronic absenteeism rate of 44%, almost half of the students. Finally, most Renewal High Schools had a "college and career readiness rate" of the teens or less and are considered "diploma mills", graduating students unprepared for college and careers. Check out the two charts below and the problems stare you in the face.